Los Angeles Home Staging Info: I'm Not Just A Home Stager - I'm Also A Qualified Referral Machine! Think I'm only a home stager? Think again...I'm also a source of referrals & listings. Many professional home stagers are - especially the home stagers that are good at marketing their services to consumers. I first wrote about this in April 2010 Think I'm Only A Home Stager? I'm Also A Source Of Clients! In light of recent negative blog posts and comments about home stagers here on AR, I wanted to let you know that professional home stagers can also be a source of business for real estate agents. Here's one way home stagers can work hand-in-hand with their real estate agent partners to ensure a win-win-win situation for all parties, including the home seller. Because I put a lot of effort in reaching out to Los Angeles home sellers as my potential clients, I am contacted by people getting ready to put their home on the market on a daily basis. Some of them already have a real estate agent, and some of them don't. Inevitably, I am asked if I can recommend a good Los Angeles, Pasadena or Arcadia Realtor that can list their home. Since the beginning of this year (2011) I have referred a REALTOR™ partner to 3 different home sellers. She has landed 2 listings, 1 of which is in escrow, and the other will be listed next week. Since I stage so many homes throughout Los Angeles, I'm very aware of which agents do a good job of marketing their listings and which ones are not as good. Since my goal is to have the homes I stage sell faster and for the highest possible price, I am happy to refer listing agents that I think will do the best job meeting those criteria. Its a win-win-win proposition: The home seller gets their home sold quickly and for top dollar, the listing agent I referred gets a listing that is easy to sell because it looks great, and I have another happy home staging client that will refer me to their friends, plus great statistics on another home sold quickly. Home sellers that first contact professional home stagersare highly motivated sellers. They've been pre-screened by virtue of the fact that they want to hire me to stage their home before they even have a listing agent. And they are willing to listen to what I, and the listing agents I refer, have to say about marketing and selling their home. My home staging website (the one not associated with Active Rain) usually gets 100-200 hits per day. I'm on page 1 of Google for all my relevant home staging search terms. That's potentially 3,000-6,000 home sellers, some of whom could be looking for a listing agent.I have no idea how many hits I get from my Active Rain blog, but I'm sure that's a respectable number too. What's my criteria for recommending a Pasadena, Arcadia or Los Angeles real estate agent? Oh, by the way, I'm also a source of home buyers, too, and not just in Los Angeles. Many home sellers I stage for are moving out of state and have not yet purchased their next home. Once again, I'm often asked about referring an out-of-state real estate agent. Who do I refer? I call my home staging buddies in that area and ask who they would recommend. I figure they have "boots on the ground" experience with local agents and know who does a good job. So, if you think I'm just a home stager you'd be wrong. I'm also a source of qualified real estate referrals. Great post Michelle. I'm one of those referral machines too. Just last week I referred a home staging client to an agent I thought would be a good match for them. The listing in this case is worth $2.5 million. I have no expectations of a referral fee, I just hope the sale goes well for all. The agent concerned was delighted. And I was glad to help. I love it! Reblogged, Flagged for a feature and shared on Facebook! Michelle, very nice post. I sometimes make referrals to agents who don't stage their listings because I like the idea of trying to show them that staging helps sell homes faster. Some small cracks in the ice . . . . .
Good on you, Donna. And thanks for the suggestion! Thank you, Michelle! You're awesome. Janet: That's a really good idea. Julia: I'm glad to know you have a similar experience. I don't think most real estate agents think of home stagers as a source of clients. I hope that changes. Michelle- again... like your photo! Excellent, well thought out post. This is a subject near and dear to me.. and one I try to gently preach to the Realtors in my area. It doesn't have to be a competition with so much animosity. Stagers I know want to work in concert with Realtors to help sellers get their homes sold. Kathy: Agreed. Its not a competition. We can help each other. You certainly know your business and how to market it. This business is, after all, about teamwork. Thank you, Jane. Yes, this business is about team work. REALTORS and home stagers can both benefit from mutual collaboration. Michelle -- I too refer many homeowners to Realtors in my area. Naturally, my criteria for selecting them are similar to yours. We can definitely work together with Realtor partners to help homes look better and sell faster. Great blog-this is what its all about, working our network! Nice post Michelle. True, so true. We receive many client contacts prior to listing and refer out to the agent. It works both ways. With each agent full service staging referral received....we like to offer hosting of the brokers open lunch or twilight cheese and wine reception. Hand in hand we work together to move homes! Maureen: I imagine most professional home stagers that have been in business for a while like you have, are able to offer their REALTOR clients referrals. Gina: That's very nice of you to offer to host the broker's caravan or evening reception. Good idea! Our names are Linda and Gary Barnett. We're the owners of Home Matters of Indianapolis Indiana and "We are a referral machine!" About 50% of our calls come directly from home owners. More and more as time passes our clients ask us to stage their home and for a referral of a good agent. I think as your reputation grows so does people trust in you to provide names of professionals just like you. Thanks Michelle, much friendlier post than some I've been reading lately. Gary: As I posted on a home staging group on Facebook, the "pot stirrers" don't speak for all home stagers, just as the negative real estate agents don't speak for all real estate agents. Home stagers and real estate agents have a lot to offer each other. I wanted to let real estate agents know most of us can have a very positive impact on their bottom line. This is spot on Michelle! Thanks for posting this. Most of my staging clients are the homeowners who plan on selling who eventually ask me "do you recommend any realtors"? Of course I alway refer to realtors who use my staging services. Why go any Where else? A savvy realtor believes & uses staging. We are an untapped resource for new listings for those who don't stage. I love this post and love that you have listed your own criteria for referring! I have always believed this truth and with your post Michelle, hopefully it will reach Realtor clients who understand the value of not only our service to their home sellers, but how we can also bring them more work and prospects to boot. I see we both have a featured post on today's home page, I'm honored to be in your good company as always my friend =). Great post. I feel that when it comes to selling a house, all aspects of advertising and showcasing a house is imperative. While showcasing a house is great, there needs to be something that goes along with it to advertise the house as well. The fact that you work with realtors for referrals is commendable. And having a few to refer people to makes you very honest and trustworthy. I know most people think the homeowner needs to put up the cost of staging, but if a realtor is receiving a nice commission, it might pay if they offer the service themselves. If there's a vacant house, or even a house that looks...well...bad, staging a house can fulfill the dreams prospective buyers should always have when looking to move. Rock formation at the Valley Of Fire. Thanx, Michelle for this educational post! I have stated before that I will work with a realtor who values Home Staging. I like your criteria points! Very well done! Michelle-What a true and positive post about the "win win" effects of savvy RE agents and home stagers teaming up!!!!! That is what great business and networking is all about.....Let us focus on the agents who understand our value as stagers and help them build their business, just as they help us build ours. You are wonderful, Michelle.....I love your attitude. And I LOVE referring listings to great agents who have been good to me and are professionals in their business! Super post Michelle, your list and criteria are excellent and your clients are fortunate to have you on their team! Karen: Great minds think alike:o) I'll head on over to your post! Nick: I have a few REALTOR clients that reimburse the client all or part of the staging at the close of escrow. While I personally think it is an expense on the home owners side of the balance sheet, I respect listing agents that feel that strongly about home staging. I hardly want to spend my time forcing anyone to embrace home staging. There are plenty of listing agents and home sellers who want to work with a professional home stager AND get some referrals for listings. Everyone has a different business model. Here's an idea! Why not get your real estate license. So you can can paid a proper referral. Paul: I have considered it many times over the years. I don't want any real estate agent clients to think I am in competition with them or that I might interfere in their relationship with their clients. Also, I would have a lot more disclosures and insurance to worry about. I know I would be able to get a referral fee, but as it stands now, my motivation for choosing to recommend a listing agent is purely what is in the best interest of the client. Now, I let my home staging clients know I don't receive any referral fee for my recommendations and I think that makes them trust me all the more. I'm so glad you encourage referrals. Thanks for being a team player. Why am I having a negative reaction to this post? I have never, ever, ever, given business to a stager, loan officer or home inspector -- all professions I consider to be integral elements of my business -- with the expectation of a referral back. People who are good at what they do will attract business. Awesome! my biggest deal ever came from a local home stager! As always, a great post Michelle! And you are exactly right. I recently referred a Realtor to a friend that I have not even done business with. I did so because I know she is an expert in the area for the upcoming listing, she has an amazing marketing package that includes Home Staging and she works with her clients in ways that I don't often see with Realtors. I am confident my friend will be happy with her services and will get the fastest sale possible! 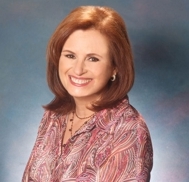 Loreena: I love providing value to both home owners and real estate agents. Leslie: I don't expect referrals back if I don't earn them with exceptional service. And I don't give referrals unless I'm sure the person I'm referring provides exceptional service that will meet the home sellers' needs. The best way to know this is because I have worked directly with the real estate agent, or someone I trust has worked with them. Greg: Thanks for sharing that. I'm glad you got a great referral from a home stager. Thank you, Chris! I'm glad you see the value of a mutually beneficial relationship with a professional home stager. Tammie: Another successful referral by a home stager! Great post! I agree your not just a home stager but also a reliable connected source for real estate agents, home buyers & home sellers. Excellent post Michelle! I have missed all of the negative conversations you mentioned but I do know that the sooner Real estate agent realize that we are their best allies, the better it is for EVERYONE! Agents, sellers, stagers...it is a win,win,win!!! Thank you, Valerie. I like real estate agents. I like working with real estate agents. I'm fortunate that I get to work with a lot of them. Many view us in the expense column, when we should be in the income column. I work primarily with a handful of agents and we have a great relationship based on trust and reliability. There has been a bit of pressure for me to get my RE license and step into the management side but I really enjoyed your response to Paul's suggestion. Thanks for the thoughtful post. I like your new pic! Thank you, Kimo. Its always nice to hear from you. Michelle, a referral is the best compliment one can receive and give. And, you truly are a referral machine! A great post! Great point, Michelle - stagers do get good real estate leads. It would be nice if there were more loyalty between professionals who are capable of referring business to each other - loan officers and real estate agents, for instance. I agree, Brian. Thanks for commenting.